is Ready, Willing & Able to assist any of the Women of our World into the awesome land of Self Employment! Laura, herself, was guided into the field of health and food supplements through her own 3 year experience with BONE CANCER. As a Cancer Survivor, she is determined to spread the word about a product that is not only helping her survive, it is helping her thrive! Laura is here to help and will assist in you making your ~DREAM COME TRUE~! Live ♥ Love ♥ Laugh…So blessed to now be bone cancer free & have the BEST family/friends! Health is not always valued till sickness comes. How R U preventing sickness/disease? 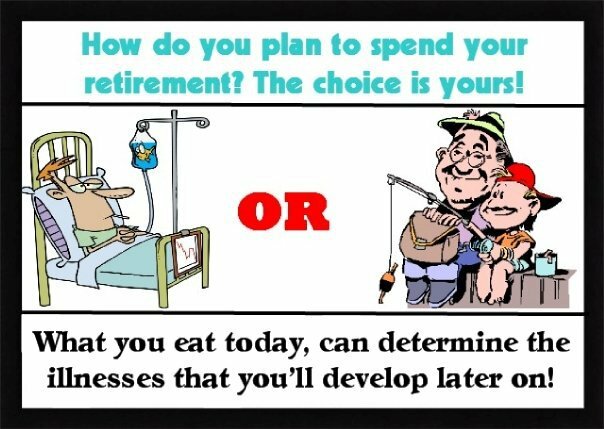 How we spend time & money is a choice. R U worth $1.39/day 4 JP+? At only 21, I was diagnosed with a rare type of bone cancer, in my femur bone, after graduating from UCSD back in 2000. At the time, I was NOT seriously doing everything I could in the area of prevention! I stared exercising some and eating better, but the damage was done and the tumor board suggested I start daily chemotherapy and radiation right away. 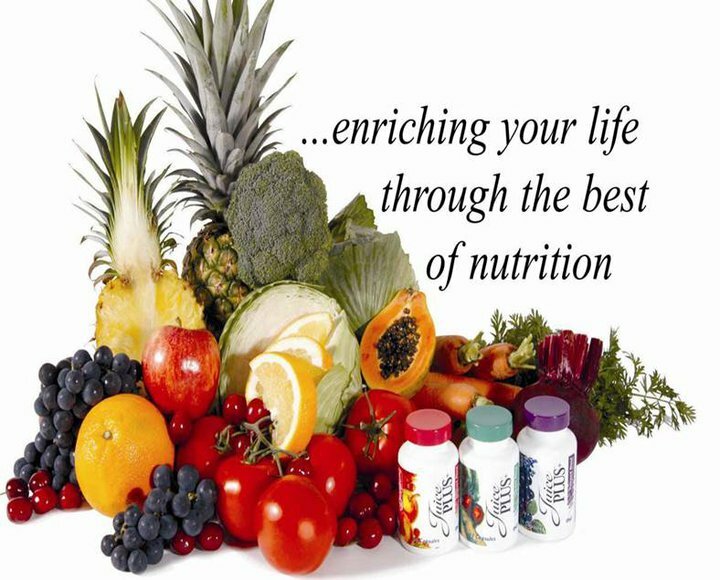 When a friend and doctor introduced me to Juice Plus+ and told me it was 17 fruits and vegetables in a capsule or chewable form, I started my research and investigation, as did my friends and family members. Shortly after, we all added Juice Plus+ to our diets right away! Juice Plus+ was convenient and affordable since it cost us less than $1.50 a day and was free for anyone 4-college with an adult order! With fruits and vegetables in a capsule, I discovered this was also an EASY way to get good nutrition into my diet regularly! I realized that cancer, and all diseases for that matter, are influenced by diet; I was determined not to let my medical problem repeat itself. I began reading medical literature on the connection between diet and health. My family and I consumed volumes about nutrition and subscribed to every nutritional journal we could find. I learned that my life essentially depended upon eating the right foods and taking the right supplements, so that is what I did. During my quest for what constitutes good health, I devoured books and articles about supplements and discovered that one of the secrets of good heath is to eat a lot of fruits and vegetables that contain disease fighting chemicals called “phyto-(plant) nutrients.” As I studied the parade of supplements out there, I concluded that whatever supplement I take must make sense and have good scientific research behind it, which is how I decided on Juice Plus+, the whole food based supplement with 17 raw, vine-ripened fruits and vegetables juiced and then dried at low temperatures, removing the water, sugar, salt, contaminants and bulk! They found a way to place these nutrients into capsules, chewables, and gummies, and I’m so excited to be able to share it with others! I am in the wellness business (I work for NSA, the makers of Juice PLUS whole food nutritional capsules, gummies and shakes). It’s the most fun and simplest thing I’ve ever done and despite the economy, my pay checks grow each month! NSA celebrates 40 years of success! Debt free company. Paid out $2.5 million in bonuses last year when others were firing. Double digit growth for the past 20 years…and we are still hiring! We have such an opportunity to change lives with our VIRTUAL FRANCHISE! Inexpensive start up cost ($50), which includes wellness product backed by THIRD PARTY research, tried and proven system in place, millions in bonus money already given out to bran new reps. Hundreds of doctors and 28 published third party research studies can’t be wrong! JuicePlus+ is the bridge to help us get more whole food nutrition (fruits and vegetables) in our body every day. Website is http://www.juiceplusvirtualfranchise.com/ and let me know what you think of any questions you may have! is also a great resourse with comp plan, etc. Please click on any of these four online presentations (password is “franchise”) and let me know what you think! Our Orchard & Garden Blend of JP+ fruits, veggies & grains…the fruit juice powder and pulp from apples, cranberries, cherries, dates, oranges, papaya, peaches, pineapples, beets, broccoli, carrots, cabbage, kale, tomatoes, parsley, spinach, rice bran and oats (no gluten)…cost is only $1.39/day! It’s a GREAT BUSINESS to be in, with a product that is non-controversial, that everyone needs, backed by solid THIRD PARTY science, and a business model that is lucrative yet carries very low overhead. I absolutely LOVE getting paid to help others get healthier and wealthier! So after a lovely conference call with the Italians the other night sharing my background and journey with them, its inspired me to write out my story on here to share with the world and hopefully it may inspire you in some way. In 2011 my brother, Rick, took it upon himself to improve his fitness for his Ice Hockey career. He came across a personal trainer in Bury named John Holowaty. Little did Rick know he was about to change his life. John, explaining the importance of Fruits, vegetables and berries in his diet was vital for recovery, improvement and best of all- health. Rick, being the 21yr old party animal didn’t care much about nutrition and so took John’s advice to start using Juice Plus. After roughly 4 weeks of Rick using Juice Plus, little to our knowledge what was going on, his behavior towards food changed naturally. He reached for the vegetable at dinner time, the families facial expression was one of they had seen a ghost!! We was all in shock, Rick hadn’t touched greens for 10 yrs. and we all wanted to know why the change now. He explained to us all about Juice Plus and me especially didn’t believe what he was showing me in his hands, 3 little pills one containing fruit powder, one veg and one berry. I refused to believe that had changed his health and nutrition. Rick took me to an event, pretty much kicking and screaming, but I went for him to support his new nutritional direction. At this point Rick was now involved in the business, which I didn’t know of at the time. I sat in the meeting listening to John speak about how Juice Plus can change peoples health and wealth. At the end of it I was really excited what this could bring to people and I was dying to get involved!! I started in the business, very excited to help people get healthier as well as improve my own. Back then nobody knew about Juice Plus and what it could do so getting the word out there was difficult but I was determined to make it work. Not many people aged between 18-30yrs old cared about what they put into their bodies and it was a real struggle to invite people to the possibilities of what it could bring. I pretty much bobbled along with the business and by this time Rick dropped out with his hockey taking over leaving me in the capable hands of John Holowaty. John persistently invited me to events and meetings which I turned down knowing people weren’t listening what I had to offer. I went along to a training day in Crewe with some amazing people. Susie Mitchell was there Lynda Clarke and lots of older much wiser people who were in some sort of superior position. Far greater than what I was, and I wondered how the hell I was going to do this business. We all went around the table sharing what we want from Juice Plus. I wanted it to help me be able to afford my own house whatever shape or form. It was a great day but I came away worried on how I was going to do it. I nearly gave up!!! Then one day John messaged me saying “Dude, I promise to leave you alone if you refuse this offer but we have a very exciting event happening in Bolton tomorrow night, Mark Colbourne a cyclist is coming speaking you need to hear him and some exciting new things are happening…”So I was definitely intrigued!! I went to the event, quite wary of what was about to happen. Hearing Mark Colbourne’s story inspired me in a way I never thought possible, he had my in tears and I couldn’t believe what I had heard. After hearing about the new products Juice Plus had brought out “Shape” I was now intrigued on where this business could take me. I was ready to really give it ago and give it my all after a little light bulb had been flicked on. I went home drew up some ideas and finally came up with something that would and did take over the UK by force. I took the Juice Plus Complete and put a simple tailored made nutrition plan behind each and every customer. The results I got from that was amazing. They spread like wild fire and with that drew people to be part of my team and to help me even more spread the message about good healthy weight loss and helping change peoples perception on how “diets” work and to live healthy. I then one day reflected on the year after a few months of writing that blog and everything I ever wanted happened with out me thinking about it. I quickly rang John and told him and said I was on board with making up a vision board. I was achieving them so quickly I had to keep making more and more. My background is a simple one. Starting the business I was living with my mum and dad and working within the family business as a operations manager. It wasn’t very exciting and I spent the majority of the time asleep or twiddling my thumbs but after the countless number of jobs I had where I was never happy or successful, I was just happy to be working around my family who I trusted not to hurt me like the previous positions did. I was never on the best wage too I worked part time in a restaurant for extra money so I could live the lifestyle I wanted which was pretty much just to get by and have a little bit of a social life. The people I spent my time with weren’t the right people prior to Juice Plus, I wasn’t in the right relationships and I felt like I didn’t have any meaning to my life, I was pretty much just going with the flow. So knowing I could be someone and something in this business I put everything I had- my blood, sweat and tears in to it and worked all hours to get The Skinny Rules powered by Juice Plus up and running and known. It quickly duplicated and I had made SSC from being SDD in April 12 by Autumn 2012. It was an exciting time for me as I had finally reached a point where I believed I can reach to the top. So many others were following in my footsteps and I was excited to help their dreams come true too. Something unexpected happened all of a sudden- one of my vision boards had come true thanks to Juice Plus for making it happen for me and giving me the financial freedom to purchase my first property in Bolton a cute little restored cotton mill apartment. I finally had my own place!!!! October 2012 I messaged Chris about the opportunity being a personal trainer to get involved which was something I really wanted to happen for my business. To sweeten the deal offered a chance to come to Rome all paid for and really experience what Juice Plus had to offer and we became great friends. I was so thrilled had a fitness pro in my team!!!! In November 2012 myself and another team member had the incentive to go to Rome room and flight paid for… both excited we smashed the incentive and was on our way to Italy. Our budding little group hopped on a plane and little did we know we would all come back and be hugely successful!! I came home and had to make some important decisions in my life, which where the hardest and scariest thing to do but for once in my life I had to think about me and unfortunately me and my partner at the time went our separate ways. I had to step up as an adult and live solo in my new place but I was so excited!! I spent a few months working hard on my business and concentrating on me, I cheered my self up and bought a mini countryman. That was another one ticked off my wish list on my blog!! In this time, I had achieved an incentive set to me if I went to QNMD before Christmas I could go to the Long Beach Conference in California all paid for, again I smashed it and could wait for Spring!! It was just what my spirits needed. Towards end of December an unexpected person decided to appear in my life- Chris, the personal trainer seeking some business advice. Our friendship grew from there and started a relationship. I was so happy!!!!! Chris made my world complete and shared many adventures together in the spring. In April, we upped and left to go to the Long Beach conference where the month before had achieved NMD and Club 39… I was just utterly thrilled. Long beach was the time of our life!! We spent a few days in a luxury retreat in Huntington Beach Resort, being a club 39 member we was invited here. We then headed down to Long beach to the conference- going on the QE2 and speaking in front of 6,000 people was definitely the high light!!! Afterwards I achieved my dream of visiting Hollywood and see Los Angeles- it was truly amazing! We came back and my business exploded even more, my business was getting bigger and bigger. So me and Chris took some time out and headed to Dubai for a week (never thought a year a go I would be in Dubai). Here I made another mile stone in my life and got engaged!!!! I couldn’t believe it and was over the moon how Chris had chosen to spend the rest of his life with me. What a roller coaster 6 months. At this time I had gone from earning £800 a month to pretty much earning that a week. I was (still am) so happy I could be truly full filled in every way- my job, my relationship, my true friends and the support I had around me, even to this day. Pretty soon after that I made International Marketing Director ticking off another vision board entry. I had gone from not knowing who I was or where I was going- to having the most amazing life and its only getting better and better. And its only getting better because I focus on helping people get what they want. Its the greatest gift you can give!! If you was given this opportunity to live how YOU WANTED TO LIVE what would you say? I made small decisions over the course of 18months to make my life better and happier and what this business brings to you is people. People who care about you and its no thanks to the people I have around me who have made me who I am today… Chris of course, my brothers Rick & Heath, John my mentor, Simon the UK director, Side line buddies, my parents Kath and Alan, my second dad Alex, my friends they know who they are and most of all my team for sticking by me. My husband and son have been using Juice Plus for a number of years. I decided to order it because I noticed they both got frequent colds. Since that time, they have both been tremendously healthy. We eat a very wholesome whole foods diet as it is, and I believe this is a great addition to it. I learned about Juice Plus+ from a friend. It made sense to me because I was looking for better nutrition for my children. Her health had deteriorated due to a toxic change in their food intake from vending machines in our schools. My husband (George Knowles, M.D) and I decided to include Juice Plus+ in our family’s grocery money because it made sense to us. As doctors, we’ve embraced and taught the power of healing through plant-based nutrition. Because Juice Plus is safe, remarkably effective and thoroughly documented, we felt the ethical responsibility to share it. We believe we can make a bigger difference in people’s health by sharing Juice Plus+ than we can by seeing patients in an office. The business was a great fit because of my professional goals to make a difference in transforming how our nation (and the world) feeds the current and coming generations. Dr. Candace Corson, National Marketing Director & 100 Club Member! Also a 7 time Elton Award nominee and 2011 Elton Award 39 Club Member of the Year! My friend told me about Juice Plus+ in 1994. She even gave me a box that I did not take. I thought my diet was good enough. I was diagnosed in 1998 with cancer. She approached me again with Juice Plus+ and I blew her off. I didn’t need JP+, I ate good. I was diagnosed with cancer again in 2003, she came to me again–I blew her off again. Shortly after that I developed fibro and chronic fatigue — she came again but this time she said, ” Your 48 yrs old and your health is a mess. Go and listen to a lady by the name of Nila Mason. If you don’t see the value, I will leave you alone.” In my mind I thought “thank God, I will go and she will finally leave me alone.” I went, I listened, I signed up for JP+ orcahrd, garden & vineyard and became a distributor that night. Two weeks later she paid my way to San Diego for conference and I am the best distributor she has ever had. Moral of the story is don’t give up. You could save a friends life . My friend saved mine. It only took her almost 10 yrs to get me to listen! 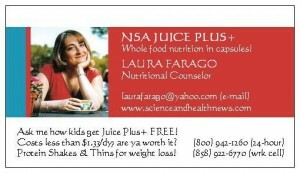 Thanks Laura for the Juice Plus! I take 2-3 pills of each bottle, per day, depending on if I workout or not. Since taking them consistently I haven’t got sick. Over a year year ago when Don lost his job, I decided that we had to go without our Juice Plus+. Dumb decision as I would learn in the months following. I ended up having many health issues that~ had I kept on- with my nutritional support of JP+ may not have escalated to point where I ended up. HOWEVER…Our family learned the hard way that we will find a way to keep all 3 blends in our budget. Always. Some of you have asked me…If I am still a Rep, for it. The answer is YES. As a matter of fact, Don too is now able to sell it as well…he has joined my team many months ago… It’s a great product with amazing customer support and BEST and MOST importantly, has the scientific research to back up the claims. So my new OBGYN got the lab results in from my initial Ohio screening and he said it was perfect! I am a woman who has had low iron, abnormal paps during pregnancy, etc.. but everything was PERFECT. So I said to him, oh it’s the JuicePlus+ and he said, yes it is! And I said, you know about JuicePlus+ and he said he’s been using JuicePlus+ for years and swears by it. I KNOW THAT JP+ HAS BEEN RESEARCHED AND RECOMMENDED BY MEDICAL PROFESSIONALS ALL ACROSS THE WORLD, BUT MY OBGYN?! How coooool! He even said to me that to be honest you wouldn’t even need a prenatal… they don’t do much in the scope of things because they are synthetic. He’s also a distributer! If I didn’t have another reason to love this guy even more (because he delivered my first child and I trust him a lot), he’s also a JuicePlus+ distributer. A distributer!! Yes, that means he believes in JuicePlus+ enough to sell it to people he knows. LIKE ME! I grew up in Nebraska, tried to garden here in Phoenix, and everything died. I was so discouraged, I really didn’t try again, though that is what I wanted to do when I had my own house. This last spring I mustered up the commitment to try again and was doing research online, when I stumbled upon Juice PLUS and the Tower Garden, I contacted Tim Blank’s company but I was told they did not sell to homeowners, and it wasn’t available for sale yet. That night Aleta posted on Facebook a video on Tower Garden, and I messaged her. She invited me to a WP and I went to her home, wasn’t interested in Juice Plus+ because I juiced (and I thought juicing would be superior because it was without the additional step of being dried, silly me), but got the Tower Garden as being idiot proof and low maintenance, and signed up to be a rep. Being conscientious, since Juice Plus+ was the primary product, I studied that, and in a few days, we bought the trio. I had a challenge of overcoming liver cancer via juicing and alkaline, living food diet. I had been juicing for 11 years, but 5 weeks into Juice Plus+, I could tell I didn’t need to juice anymore, and haven’t since. Juice Plus+ is superior in nutrition levels, it has fruit without the sugar, for the fraction of the cost, and a huge time savings. I don’t miss juicing, and am thankful to know Juice Plus+. Having being so close to death that I didn’t have the energy to wash my own hair, I have a passion for health and to help others prevent the experience I went through! (as you do too) I saw the beauty of having a franchise. My husband & I have a remodeling business that after growing for 28 years, it halved in volume when the economy tanked, and we all took a cut in pay, and worked harder, and us longer hours. Hummm, our experience and efficiency didn’t matter as we barely made it through (we had a good year this year, thanks be to God). I thought we would continue to have a profitable business. I was ripe for residual income, no inventory, employees, collection!!! So I am doggedly determined to make the same income as my husband and I make in our remodeling business, to have the insurance benefits, so we can sell our business, and this can be all I do. I feel very blessed to be an SSC all ready. It seemed such a reach! So next benchmark is QNMD, then NMD!!! I first heard about JP from my sister when I was dealing with an autoimmune disorder. I was looking for a way to get healthier. I went the prednisone route and knew I didn’t want to do that long term. I then went to a homeopathic doctor who put me on $300 a month of vitamins. I did that for three years and ended up in ICU with an enlarged heart, spleen and fluid on my lungs. My general practioner thinks I had a toxic reaction to all those vitamins in my body. That’s when I was open to learning more about the relationship between nutrition and disease. It’s not a quick fix and it’s not a miracle drug…it’s fruits and veggies. But it helped to fill in the gap between what I should be eating and I what I was eating. In a year’s time my blood was normal and I was symptom free. It certainly has been the simplest way I’ve been able to make the biggest difference in my health. I never miss a day! All four of my kids and my husband and myself have been on JP+ 12 years now. Best decision I ever made. My son and I are both on juice plus and loving it! Once in awhile – I get into his gummies..hehe..I am bad!! But they taste good! I just sneak one of each..but..love the flavor. One very interesting thing…the first month I was on them…before I started taking..any other kind of supplement….I dropped 10 pounds..that first month..and I did nothing..absolutely..nothing different. I think…my cravings..or something..must have changed..once I was getting better nutrition…I am impressed with the fact..I dropped 10 pounds..with just starting juice plus… I’ve never lossed with..just being..on a vitamin…so I can say..personally that juice..plus must have balanced..something..out in my body .I personally experienced the “juice effect” ! Without realizing – I was making better choices and cut down on my sugar intake naturally. – less cravings for sugar and so has my son. He has noticed – the white lines on his nails have disappeared after just the first month. We Love our juice plus! Wow! I’ve been looking back on my life today and it seems like another lifetime ago when I used to have horrible acne, chronic bronchitis and Osgood-Schlatter disease and was taking a new antibiotic almost every month. After just a few months of taking Juice Plus+, it all cleared up and I’ve been off all medications now for over a decade! I’ve been taking Juice Plus+ for over 12 years and I wouldn’t want to go a single day without it! 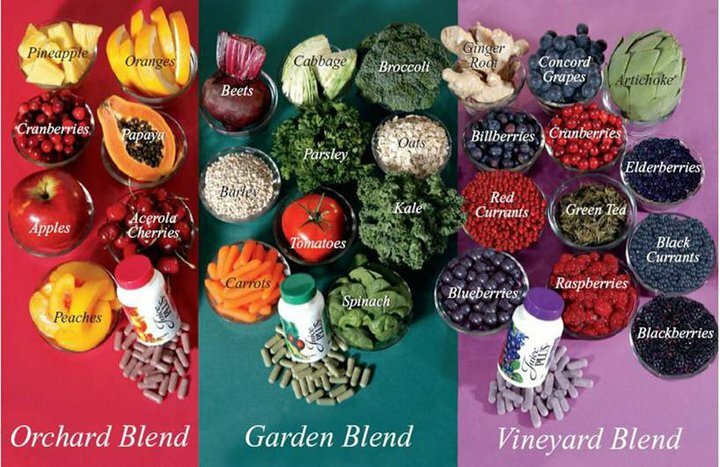 For those of you who don’t know what Juice Plus+ is, it’s basically 26 fresh, raw, vine-ripened fruits, vegetables, and berries that are juiced and dehydrated into powder. The produce powders are then put into capsules or vegan gummies for easy daily consumption. Today Juice Plus+ has been on the market for over 19 years and there are over 24 published clinical studies showing that it helps improve human health and physiology. I am so grateful! My son was born with a congenital heart defect and had surgery when he was 2 months old. I knew that keeping him as healthy as can be was paramount. I tried giving him several vitamins but was never happy about it (I especially didn’t like the warning labels). My mother suggested I try Juice Plus, something she had heard about a few years prior. At the time my son had just started preschool and the PTA was having an event and I knew a Juice Plus representative would be there. I signed up for the Children’s Health Study and my son and I began taking Juice Plus. At about the same time, my own mother was very ill and I suggested she start with Juice Plus and I shared my product with her. Within a few weeks my mother was feeling great – even shampooing the rugs! I was very impressed. My upline (Cheryl Ichel) had invited me to a Juice Plus event to hear Dr. Kim speak and my mother and I attended. As I heard about the benefits of Whole Food Nutrition I was convinced of the benefits of Juice Plus and knew I had to share it with others. I stayed to listen to the presentation about the virtual franchilse and saw how so many of the puzzle pieces of my life could come together. I decided right then and there that it was something I had to do. I called up Cheryl and became a distributor. Now I’m well on my way to Sales Coordinator and beyond! For those of us that are not vegans and don’t always eat as we should, Juice Plus is just a miracle in gummie or capsule form! I’ve been taking it for about 6 months now and it has been surprisingly easy to see the difference it is making in not only my health, but my husband is healthier as well. Our immune systems really seem to be dramatically improved and our energy levels are better than they’ve been for 15 years! I was a skeptic, but can honestly say that Juice Plus is the last “supplement” I’ll ever take! Hi Laura , I am very inspired by your posts! I like to share The Gift of Health. I started taking JuicePlus in November 2011, as did my 10 year old daughter as she got a free years supply!! I knew it was going to be good for me, but at first I had no idea just how good!! After a couple of weeks I noticed a huge difference in my energy levels, but is was only really after 7 or 8 weeks I started noticing a visible difference. First I noticed all the little thread veins and red blotches I had had on my neck & chest had gone completely after 15 years! Then I noticed the skin on the backs of my hands, previously when you pinched this loose skin it just stayed ‘stuck up’ until I rubbed it flat again. I’m sure some of you ladies know what I mean! Well now my skin has all of its elasticity back, and if I pinch it , it pulls back into shape immediately, my face looks & feels hydrated, all of this stuff is going on inside me too, my veins, my blood, bones, brain, organs ect ect are benefiting in the same way. My gums dont look receded anymore, and the one big thing that I never thought could happen, because the doctors told me it can only get worse, is that the arthritis in my fingers and wrists has almost gone!!!! My knuckles and joints were very sore, inflammed & swollen, my hand were starting to look horrible, at one point the occupational therapist that I used to see said they may end up having to fuse my finger joints, and I definitely would not be able to make jewelry any more, which was my bliss at the time! Well anyway, to cut a long story short, for the first time in about 3 years my hands actually look nice, still a few ‘nodgers’ on some joints, but NO red swelling, NO inflammation and NO PAIN!! Yes – I am amazed too, I believe I halted the progression of the arthritis by positive thinking & not giving it any attention. But I couldnt make it go away, it just stayed the same, red sore and swollen. Sometimes I couldnt even touch something gently it hurt so much, I also had to wear wrist supports at one time. Thanks to Juice Plus, my health is great, my fingers look lovely again, I have no pain, my skin is glowing, I buzz with energy everyday, and yet as soon as I put my head on the pillow I sleep like a log till morning, then wake up fully refreshed and energised. All of this is due to Juice Plus, which my reason for becoming a JP+ distributor, so that I can share this gift of health to everyone I know, love and care for, and even those I dont yet know! That story came from the bottom of my heart, I am grateful to all the people and events that led me and my family to Juice Plus. 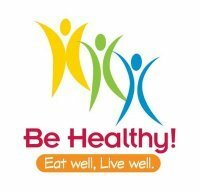 Would like to help you spread the message of good health! My kids are nuts for the juice plus chewable gummies! I have to put them up high so they can’t reach. I love the capsules! I’ve been “regular” ever since! This stuff is amazing not to mention how inexpensive it is too to keep your family healthy! Your story is an inspiration to everyone Laura. After 24 years in Corporate America, I took a year off to press F5 and refresh, reprioritize and reassess. In attending a Health & Wellnes event, I felt so moved by what I heard I knew right then and there I wanted to share the message of what I had just heard with others. I have been physically active since I can remember (although not athletically inclined!) and I have always been interested in having good health (who isn’t, right?!). I heard the words antioxidants, oxidative stress and free radicals but didn’t really know what they meant. It’s all quite simple: we breathe, we convert oxygen to create metabolism, there is a byproduct created as a result and voila, they attack our cells 10,000 times a day. Antioxidants are what we need to combat these free radicals and our ONLY source of them is fruits & vegetables. THINK ABOUT IT and then DO SOMETHING ABOUT IT! Your DNA is NOT your destiny! Take charge, take responsibility and make changes towards greater health for yourself. It’s the LEAST you can do for yourself, yes?! Laura, first of all you are an inspiration! Thank you so much for friending me on Facebook as I would not have found out about JuicePlus+. I am grateful for this knowledge and can’t wait to experience the benefits and for my child to experience them too! Thanks and God bless you! I never go without taking my Juice Plus. 30 years in the vitamin biz and I have not seen a better formula. It’s amazing how many people (including me at first) believe they are eating enough fruits and veggies, but when I tried JuicePlus+ it was a revelation. I had NOT been eating enough. The capsules made a profound difference in my health, energy, appearance, sleep & immunity. Extraordinary. Juicing is such a healthy way to eat, but I couldn’t face the washing up – not in the early hours when I’ve got to get to work. Juice Plus on the other hand is as easy (and important) as breathing! I wash my JP tablets down with a Complete smoothie and I’m out of the door in minutes. Laura – I have been taking Juice Plus for well over 5 years. I have also owned my own retail vitamin business for 30 years. I’ve had stores from Camarillo to Marin County. I have never, I repeat NEVER, seen a formula like Juice Plus. I consider Juice Plus far more beneficial to the body than taking a multiple vitamin. You represent an amazing product and a fantastic business. Good job! Laura, I have been in other home based businesses but have never know such generosity as what Juice Plus+ gives to its reps. They are a company with a heart. When the economy started going sour, the company increased paychecks with bonus money (earned of course) to help people through these difficult times. They did not raise the price of their products. Jay Martin, the president, (no, not my uncle…I wish) believes we all need good health and is working toward a healthier nation. Thanks Laura for sharing this information. Did I tell you that since taking Juice Plus now it will be TWO years since I’ve caught a cold or flu! My wife introduced me to Juice Plus four years ago…….and I haven’t had a cold since! When I feel a sniffle coming on I double up on the dosage for a couple of days and it clears up. Especially remarkable since I work in different schools every day so am exposed to new bugs on a daily basis! I was introduced to Juice Plus+ almost 19 years ago and it made sense to me because I knew I wasn’t eating enough fruits and vegetables and neither was my husband or my four children. The health benefit over the years have been many as my children have never been immunized or have they ever been on an antibiotic. We will never stop eating Juice Plus+ because the health benefit are so great but from a 53 year old woman perspective, I love that Juice Plus+ keeps me young. The personal development over the years has been a blessing and I am thankful for the JP+ VF opportunity!! Now that the cold season is arriving. Don’t forget to stock your medicine cabinet with “natural” products that do not produce side effects. “Juice Plus” has kept me & my husband from getting the stomach flu for the last 10 years (in my opinion, vomiting is the worst kind of sickness). 3% Hydrogen Peroxide (2-3 drops per ear), helps with post nasal drip. Castor Oil, massaged into the back helps relieve back pain (per my husband, who has re-occuring symtoms of his ability to walk properly because of back pain and has found great relief from this remedy). I donated blood a few days ago (as I do a few times per year). My blood pressure was 110 over 72. The Red Cross tech that was doing the pre-donating testing asked what medications I was taking to keep it at such an optimal level. (especially as I near 53 candles in 6 weeks!) I told her I was not on any medications. She was shocked…especially when I told her I did not exercise regularly…although it is a health goal of mine to do so. Then came the finger-prick to test my iron level to be eligible to donate. Once again, an impressive level. She asked how many milligrams of iron supplement I took. I told her that years ago, I would have to take it in order to pass the iron test to donate blood, but haven’t taken an iron supplement in over 4 years. I told her that I get regular daily iron in my body from all the dark green leafy vegetables that are in my Juice PLUS+. She ordered it that day. I remember when you first sold me Juice Plus and I used to whine about taking it. Then I went through a slump when I was first diagnosed and my docs told me to stop everything. Since going back on, I have been more committed than ever. I love taking my six magic pills every day. Like health in a capsule. So thank you , Laura, for your perseverance. You always had my best interest at heart. It is much cheaper to prevent than it is to treat disease and Don and I always say that we do not know how many thousands of dollars Juice Plus+ has saved us since we added it to our diets in 1997. We need to continue to share with people so more and more people don’t have to go through what you ladies have gone through! I think JP is amazing, I have been taking it for a while and I can see a difference in my level of alertness. It was over time but I really did see a change especially in my blood pressure which was a bit high prior to my taking JP. I recommend it because it does make an enormous difference. Laura, thank you for introducing Juice Plus to me. I feel reassured every day that I am getting the nutrition I need to lead a healthy, active life. Laura I just wanted to take a moment to let you know how much your sound advice has affected my eating habits I have done a complete 360 and now enjoy nuts, grains,fruits and veggies each and every day I try to buy only organic if the cost is right. You are a true inspiration to many and have done a fabulous job with this web site I’m sure I will visit it frequently I love that it has an emphasis on woman and business. Laura congratulations, what a great website. You have inspired me in so many ways along with JP+. You go girl and thank you. Three yrs ago I was diagnosed with Breast Cancer please read my story on facebook profile. A little less then a year I went on JP+ and it changed my life. My hair and nails which were destroyed by Chemo have improved 200%. Need support contact me. Need good health contact me. Let me and JP+ help you to a new you. Wow Laura – great great website – so much positive insight and facts on Juice Plus!!! Yes Laura u r very energetic and high spirited person! I think people who work with u r really blessed to have you as a leader. I like the website too. Glad to have you as a friend on Facebook. Wow! Laura you’re such an inspiration! I am so honored to be a part of your team! I thank God for Facebook…meeting you there was the best thing! Now I am blossoming as being a part of your Juice Plus+ team and family. Keep up the great work! I am so PROUD of YOU! Laura, Fantastic page! I love it! Sending many prosperous blessings of abundance to you my friend! Juice Plus+ changes lives and I hope many people are open and willing to listen to what you have to say, because JP+ can change their lives! GREAT Work! Hold your head up high and keep going! Many blessings to you my dear friend… Keep up the amazing inspiration, you have a heart of Gold! !